It’s not uncommon for West Columbia or Irmo drivers to get accustomed to the remote access of their new Mazda vehicles, whether that means remote starting the vehicle or locking the doors from a distance. It can be very convenient, but when the battery in the key fob dies, you’ll have some trouble with the remote technology until you replace the battery. Luckily, we at Midlands Mazda can teach you how to open your key fob and replace the CR2025 battery yourself. On the back of your key fob, there’s an auxiliary key button. Press that button to remove the metal auxiliary key. When the metal key is out, you’ll see a slot on either side of the key casing. Use a tape-wrapped flathead screwdriver to carefully pry open the case. Gently start on one side and then move to the other side. Remove the battery cap to expose the battery. Take the battery out, and be mindful of the small rubber ring underneath. If scratched, you’ll want to replace it before continuing. Be sure to keep the ring in place and put the new battery in the key fob with the positive (+) side facing up. Place the battery cover back in, then reattach the sides of the key fob. Be sure to press them down until you hear a click. Replace the key and you’re ready to go. 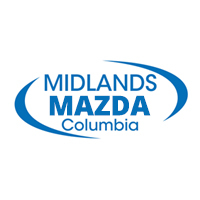 Need Assistance from Midlands Mazda? If you’d rather have the professionals take a look instead of replacing the Mazda key fob battery yourself, make the trip to us in Columbia or contact our service department for more specific instructions. We’ll also be happy to help you schedule an appointment for someone to change the key fob battery for you. If you also happen to be nearing an oil change service, we can help take care of that as well. Check out our Mazda service coupons to help you save and contact us today to schedule your next appointment. How Much is a Mazda CX-9?